This poetic series of dishes has been decorated with a contemporary graphic language: this is why the collection is called ANOTHER NATURE. It evokes, in fact, a different way to look at the world around ourselves. 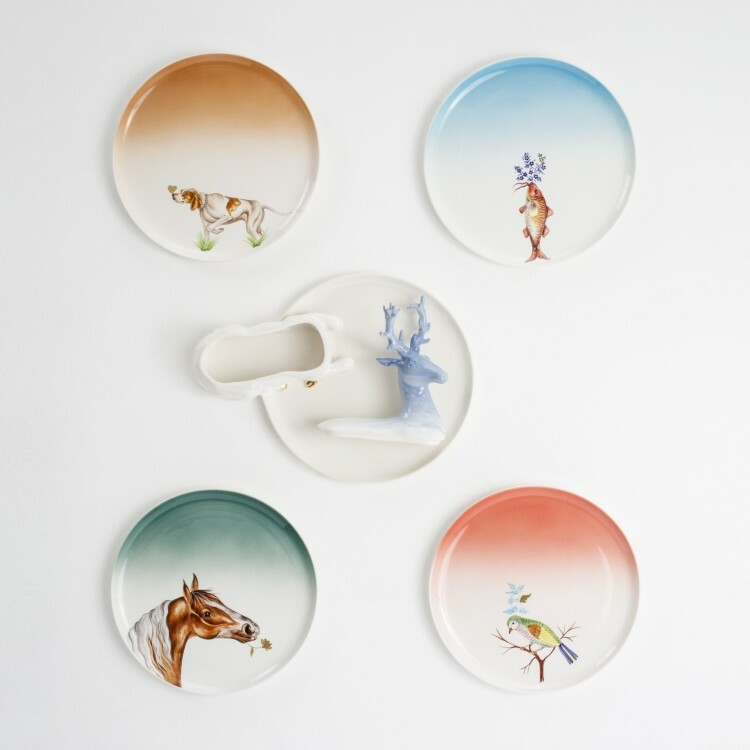 The careful choice of the motifs is based on an attentive investigation of the Este Ceramiche atelier’s rich archives: the animals and the flowers, typical of Este Ceramiche Porcellane’s acknowledged heritage, have been disposed on the plates with an unexpected rhythm, to recreate fantastic scenes. The delicate use of the precious gold luster enriches the perception of the dinnerware, with its glittering sparkles. 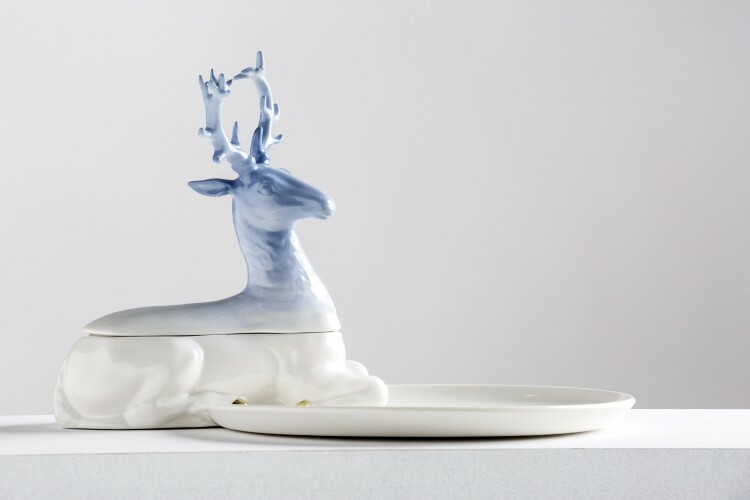 A deer in three dimensions evokes the atelier’s famous trompe-l’oeil productions, bridging it into the future. ANOTHER NATURE is a project developed together with the Italian Company Este Ceramiche within the frame of the DOPPIA FIRMA PROJECT, that brings together European design innovation and the tradition of great artisanship by creating a unique collection of original, refined objects. This initiative is possible thanks to the FONDAZIONE COLOGNI and the MICHELANGELO FOUNDATION and curated by the magazine Corriere de la Sera Living.